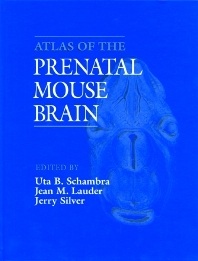 The Atlas of the Prenatal Mouse Brain is the latest addition to Academic Press' list of atlases for neuroscientists and neuroscience students. It fills an urgent need for a comprehensive atlas of the developing mouse brain for use in studies of both normal and abnormal development. High-quality photomicrographs of brain sections are depicted in sagittal, coronal, and horizontal planes for four gestational age groups. Each photomicrograph is accompanied by a fully labeled, precision-drawn diagram for easy identification of brain structures. Researchers and students using normal, transgenic, or mutant mouse preparations in developmental neurobiology, neurotoxicology, and biotechnology will welcome this meticulously assembled and accessible guide. Developmental neurobiologists and students, molecular biologists doing studies involving transgenic mice, and researchers in biotechnology. Introduction. Methods. References. List of Abbreviations. List of Structures. Gestational Day 12 (GD 12). Gestational Day 14 (GD 14). Gestational Day 16 (GD 16). Gestational Day 18 (GD 18). Case Western Reserve University, Cleveland, Ohio, U.S.A.